Share the post "Eating Wild – Edible Amaranthus Species"
Amaranthus, known as Amaranth is a genus of annual or short-lived perennial plants in the family Amaranthaceae. Some amaranth species are cultivated as leaf vegetables, pseudocereals, and ornamental plants. Most of the species from Amaranthus are summer annual weeds and are commonly referred to as pigweed. Catkin-like cymes of densely packed flowers grow in summer or autumn. Approximately 60 Amaranthus species are recognized, with inflorescences and foliage ranging from purple and red to green or gold. Plants of this genus share many characteristics and uses with members of the closely related genus Celosia. “Amaranth” derives from Greek word amárantos, “unfading,” with the Greek word for “flower,” – ánthos. The more accurate amarant is an archaic variant. Amaranth is a grain that has been used for some 8,000 years. It’s rich in amino acids and higher in protein than most grains, some 16%. It was one of the staple foods of the Aztecs. Amaranth is usually added to other flours or materials and is gluten free. You can collect your own seeds and process them into flour or buy it at health food stores. The latter is a good idea to see if you like the flavor which is nutty and slightly peppery. Amaranth and quinoa are non-grasses and are called pseudocereals because of their similarities to cereals in flavor and cooking. While you can collect seeds from nearly any Amaranth, three species are commonly used: Amaranthus hypochondriacus, Amaranthus cruentus and Amaranthus caudatus. Amaranthus hypochondriacus is an ornamental plant commonly known as Prince-of-Wales feather or prince’s-feather. Originally endemic to Mexico, it is called quelite, blero and quintonil in Spanish. In Africa, like many other species in the family Amaranthaceae, it is valued as source of food. In temperate regions it is cultivated as a half-hardy annual. Numerous cultivars have been selected, of which ‘Green Thumb’ and ‘Pygmy Torch’ have gained the Royal Horticultural Society’s Award of Garden Merit. Amaranthus cruentus was in use as a food source in Central America as early as 4000 BC. 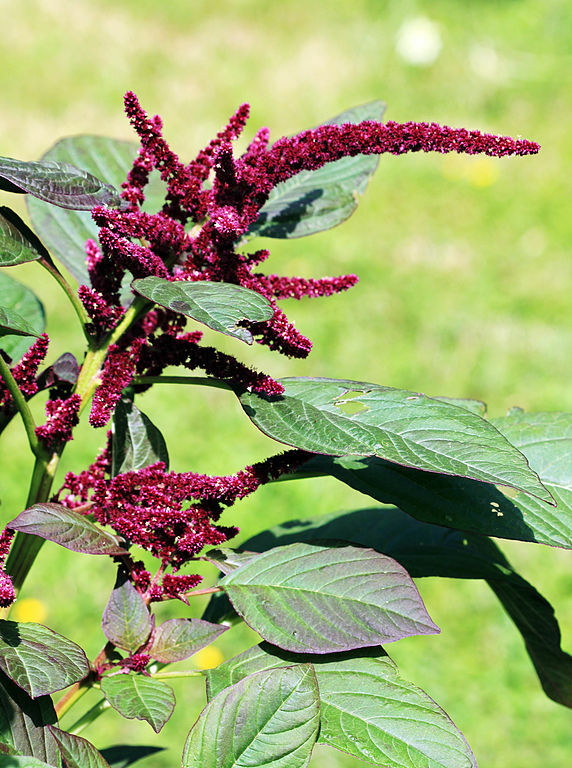 This is a flowering plant species that yields the nutritious staple amaranth grain. 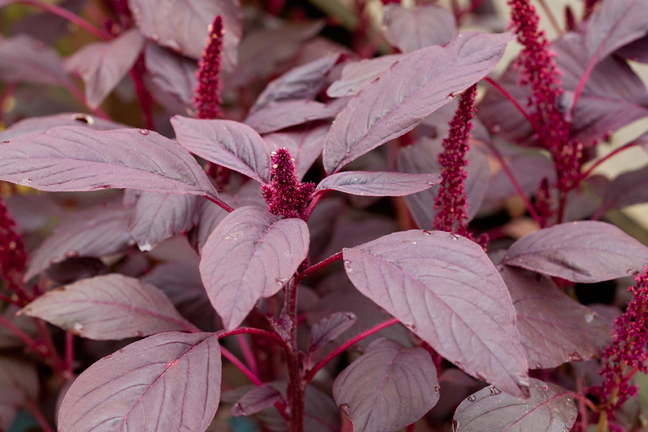 In Mexico, it is called huautli and alegría, and in English it has several common names, including blood amaranth, red amaranth, purple amaranth, prince’s feather, and Mexican grain amaranth. In Maharashtra, it is called as shravani maath or rajgira. It is believed to have originated from Amaranthus hybridus, with which it shares many morphological features. The plant is usually green in color, but a purple variant was once grown for use in Inca rituals. 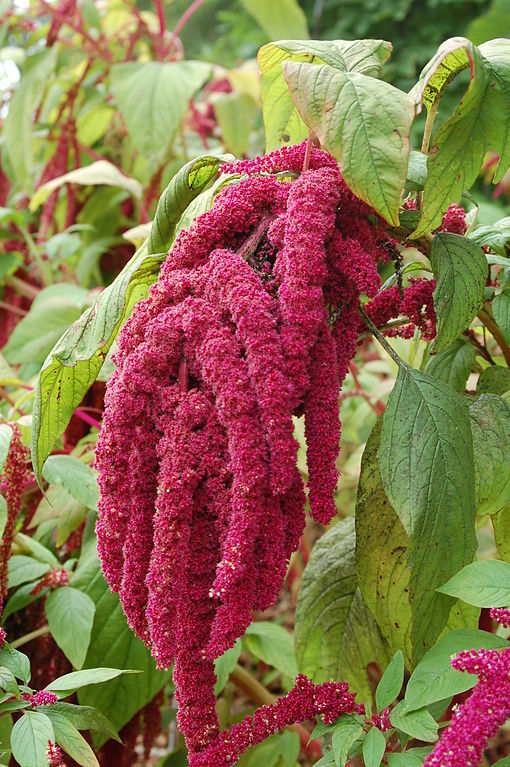 Amaranthus seeds are eaten as a cereal grain. They are black in the wild plant, and white in the domesticated form. They are ground into flour, popped like popcorn, cooked into a porridge, and made into a confectionery called alegría. The leaves can be cooked like spinach, and the seeds can be germinated into nutritious sprouts. While Amaranthus cruentus is no longer a staple food in Central America, it is still grown and sold as a health food. It is an important crop for subsistence farmers in Africa. In Maharashtra, during month of Shravan, a stir-fried vegetable with just grated coconut is served during festivals. The stem is used in curry made with vaal hyacinth bean. Among the Zuni people, the feathery part of plant ground into a fine meal and used to color ceremonial bread red. The crushed leaves and blossoms are also moistened and rubbed on cheeks as rouge. Amaranthus caudatus known by common names as love-lies-bleeding, pendant amaranth, tassel flower, velvet flower, foxtail amaranth, and quilete. Many parts of the plants, including the leaves and seeds, are edible, and are frequently used as a source of food in India and South America – where it is the most important Andean species of Amaranthus, known as kiwicha. This species, as with many other of the amaranths, are originally from the American tropics. The red color of the inflorescences is due to a high content of betacyanins, as in the related species known as “Hopi red dye” amaranth. Ornamental garden varieties sold under the latter name are either Amaranthus cruentus or a hybrid between A. cruentus and A. powelli. In indigenous agriculture, Amaranthus cruentus is the Central American counterpart to South American Amaranthus caudatus. Four ounces of amaranth grain provides 100% of an adult’s daily protein need. It can be combined with wheat flour for yeast breads. Nutritionally 100 grams or about 3.5 ounces of Amaranth grain has 374 calories, 14.45 grams of protein 6.5 grams of fat, 15 grams of fiber, 4.2 mg of vitamin C, 153 mg calcium, 366 mg of potassium, 455 mg phosphorus, and 266 mg magnesium. You can collect it by putting the seed head in a bag and shaking the seed head. Amaranth grain does not have to be soaked before use. The flowers of the ‘Hopi Red Dye’ amaranth were used by the Hopi (a tribe in the western United States) as the source of a deep red dye. Also a synthetic dye was named “amaranth” for its similarity in color to the natural amaranth pigments known as betalains. This synthetic dye is also known as Red No. 2 in North America and E123 in the European Union. Do you grow Amaranthus in your garden? What is your experience with this plant? Please share with other fellow gardeners in the comments below! 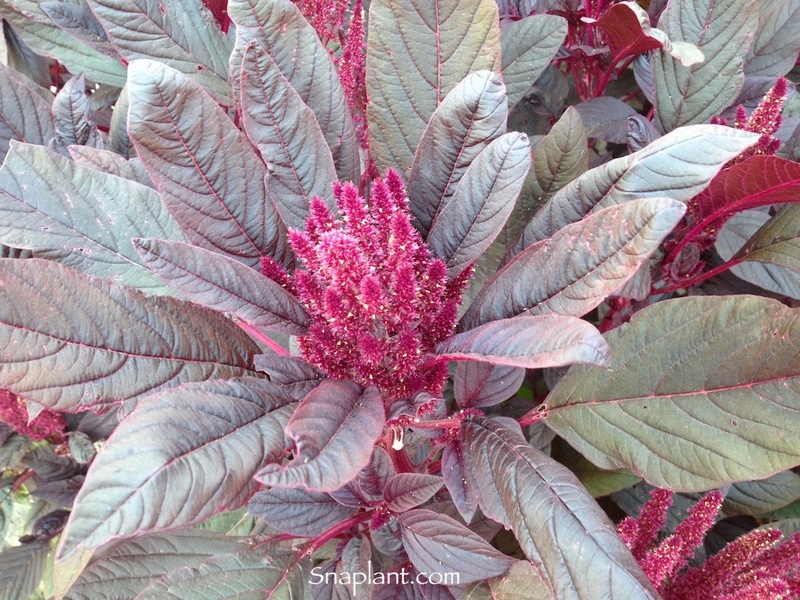 Do you sell Amaranthus seeds or have plants for sale? You can place your advertisement here. Contact us now!